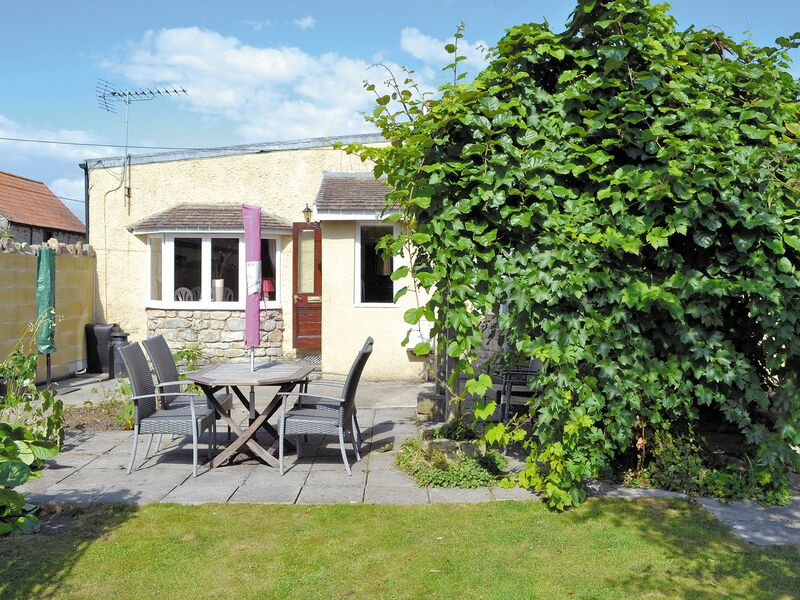 This attractively converted property is set just 2 miles from the coastal resort of Clevedon’s many amenities and offers an ideal base for exploring the Mendips. A craft centre, including a pottery and silversmiths, is next door and popular Weston-super-Mare’s magnificent beach, shopping centre, pubs, restaurants and two golf courses are 6 miles. Wookey Hole Caves, Cheddar Gorge, Wells with its wonderful cathedral, Bath, Street, Glastonbury and Bristol are all easily reached. Shop and pub 2 miles. This award-winning village pub serves real ale and good, locally sourced food. The welcome is warm, just like the open fire in the winter! Pub games, quizzes and occasional live music add to the atmosphere of this friendly, local pub. This delightful little stone pub serves excellent food and provides a contemporary locally sourced menu. The Clytha Arms has been awarded 'Gwent Pub of the Year' five years running. Just 6 miles from the market town of Abergavenney, it offers the opportunity to play a round of golf or go fishing locally, both on request. There are plenty of countryside walks from the pub. Annual festivals such as the renowned cider festival and the Welsh beer festival are held at the pub. We have a daily menu which changes on a weekly basis depending on what locally sourced seasonal produce is available, explains Head Chef Steve Robbins. People can feel free to come in for a quick snack or indulge in a three course meal. As the United Kingdom's foremost science and discovery centre, At-Bristol has a lot to offer curious minds. Visitors of all ages can explore the information-rich environment to increase their knowledge while enjoying personal experiences. The facility includes a planetarium, live lab and many other exhibits that provide memorable hands-on opportunities. Cardiff Delta Force Paintball is positioned in a stunning woodland setting offering players the ultimate arena for a simulated war zone. The trees offer ideal coverage as you make your way through the different zones. Paintballing is a popular activity and suitable for those aged 8 and over, the whole family or group can get involved and have a fun time. At the Cardiff centre there are six contrasting game zones, they include "A Bridge Too Far" which, has three large bridge constructions, there is a "D-Day Landing" inspired by the infamous battle and the dramatic Vietcong Village enactment, Castle Wallenberg, Command Post and the Haunted Graveyard, each zone offers different challenges and tests your skills and abilities. Will you be successful in your mission? Cardiff Delta Force Paintball provides all the equipment, including, full head protection goggles and body armour as well as modern paintball guns, you are given a full safety briefing and instructions before your adventure starts. The staff are friendly and professional and the prices are guaranteed to be the lowest. Cardiff Delta Force Paintball offers a great out for all, fun, energetic and exhilarating and at a great price too, an ideal day out. The Llandaff Cardiff Ghost Walk is an excellent guided tour that takes you through the interesting and compelling history of Llandaff as you travel through the fields and pathways by torch light. It is suitable for those aged 12 and over and is a fun, informative and scary experience all at once. The knowledgeable and friendly guides are adept storytellers and tell sinister tales of death and history, as you are in local cemetery, your imagination can run away with you! There is lots of added extras, from smells, orbs, temperature drops and rustling noises, you are continually on alert. You might be lucky and see a ghost, you will certainly hear lots of screams. Even without a sighting it is a fun and quite scary and definitely worth experiencing. The guides are fantastic and really make the evening if you are in the area don't hesitate to make a booking a great night with friends or family. For more than 250 years, Greenmeadow Community Farm has been offering a unique experience with traditional appeal. The grounds cover 120 spacious acres which are home to a diverse collection of rare animals. Explore this amazing barnyard then stop by the farmhouse cafe and enjoy delicious dishes that are made with locally grown ingredients. Super Tubing offers the United Kingdom's longest tube ride. Individuals, families, couples and everyone else can stop by for some fast paced fun. Each rider sits in a powerful reinforced tube which glides along on snowflex. This is one attraction that is available even if it rains. The water actually makes the chutes slicker for a faster ride! Sample the ales at this family-run micro-brewery. They also sell a wide range of preserves, dairy products, baked goods and fresh fruit and vegetables. It's worth noting that they run a weekly fresh produce box delivery service to the local communities. Perrygrove Railway and Treetop adventure offers lots to see and do for a fun filled family day out. It is located just on the outskirts of the Forest of Dean and has lots of attractions to keep everyone entertained. There is the Perrygrove Railway that operates steam and diesel trains trains on a narrow gauge railway that runs for 3/4 mile through farmland and woods and with your entry fee you can ride the train as much as you want. It will also take you to all of the other attractions, including the brilliant Treetop Adventure that comprises of lots of bridges and access routes to take you to the five houses that are set up amongst the trees. There is a covered picnic area that caters to all weather, there is a play area at Foxy Hollow as well as a secret Indoor Village complete with secret passages in addition to den building that is located in the woods, where the real adventurers will have great fun. Perrygrove Railway and Treetop Adventure operate a number of special events throughout the year so it is worth looking out for these. If you don't want to take along a picnic there is a cafe that serves a nice selection of sandwiches and light refreshments as well as a choice of beverages. Your entry fee includes all activities unless you join in the Treasure Hunt which, carries an extra cost. The facilities are excellent well maintained and spotlessly clean. The staff are so friendly, cheerful and helpful that add to the overall experience making it a fantastic family day out whatever the weather and really good value for money. Forest of Dean Adventure Ropes offers fun and excitement amongst the tress in the beautiful Forest of Dean. It is the place to come to step out of your comfort zone and try something both thrilling and scary but really fun too. It is a great attraction for all ages as there are activities to appeal to all ages and preferences. The staff are fantastic here, friendly, professional, encouraging and patient, the environment is well maintained and safety is paramount, you are given a safety talk before embarking on any activity. All equipment is provided so all you need is yourself and suitable footwear and clothing. Activities that you can take part in include, Adventure Ropes where you climb, swing and jump around the high rope activities amongst the trees , Archery where you can test your skills with a bow and arrow and the Climbing Tower that reaches 40ft in the air will you be able to climb to the top, a real test of stamina and skill. Forest of Dean Adventure Ropes ensures a fun and exciting time at very competitive prices, you can combine activities or just stick to the one. Whatever you do you will have a fantastic time. A leisurely stroll around Cwmbran Boating Lake is an excellent way to stretch your legs and savour the open air. This popular local attraction is a big hit with walkers, runners and boaters. The area includes a children's playground, brick BBQ grills for cookouts and beautiful natural landscape that makes each visit well worth the trip! If you're looking for friendly atmosphere and a bit of fresh air, then the Shirehampton Park Golf Club is waiting for you! This popular attraction has been praised for its welcoming personality. Located just five miles away from Bristol's centre, this gorgeous green space offers lovely woodlands and views of the Clifton spires. Disc golf is an exciting way to spend an afternoon. Ashton Court Estate offers the perfect space to enjoy this popular sport. The on-site courtyard cafe offers discs that can be borrowed. Bring a friend or a group and get ready for a competitive activity that is good for your body and fun to play! Skirmish Bristol paintball offers intense excitement that will get the adrenaline pumping! Located in south west England, this popular attraction offers a wide variety of all-season activities including Airsoft, quad biking, buggy racing, clay pigeon shooting and paintball. Choose from two unique venues, one featuring an urban theme and the other a woodland setting. If you like a heavy dose of adrenaline with your holiday, then UK. Bungee is ready to deliver! Find yourself tethered to single cord before making a treacherous leap of faith all in the name of fun and excitement! Daredevil travellers can book bridge and crane bungee jumps or learn more about charity jump events. If you love hands-on entertainment then get ready for Bristol's Battlefield Live! This exciting attraction puts you right in the thick of it. Get an authentic fighting experience while facing off against another team. Battles can be smaller or include as many as 300 individuals at a time. The more players on the field, the more intense the experience will be! Peterstone Lakes Golf Club is a lovely flat 18 hole golf course, that is easy to walk, it is a long course with lots of water threats and plenty of challenges. On arrival you will get a warm and friendly welcome and can be assured top quality on the course and in the facilities on offer together, with really good service. The course is well maintained and is constantly being improved. It has lovely landscaping, is well designed and has lots to offer, with many obstacles making it an ideal course for both high and low handicappers. In addition to the course they have a practise field, putting green, nets and practise bunkers. The Golf Shop has lots of stock and the professionals are friendly and helpful in offering advice and guidance. The Clubhouse is warm and hospitable with nice facilities and a great menu is available, the food is outstanding and well priced and the staff are lovely and friendly. When you come to play at Petersotone Lakes Golf Club you are assured a warm Welsh welcome and a great course and facilities. You can be assured that once you play here you will be looking to come back to play again. Tracy Park offers lovely scenery that is perfect for a game of golf! This breathtaking landscape includes sweeping stretches of green and a pair of championship 18 hole courses which span 240 serene acres. Enjoy the amenities and luxury of this exciting boutique golf resort which can be found near Bath and Cotswolds. With a spacious 160 acres of breathtaking country side, the Stockwood Vale golf club offers the perfect combination of fresh air and sport. Grass tees are used all year long. The grounds also feature the golf club with private dining rooms that overlook the course. Enjoy a delicious meal made using locally grown ingredients after an invigorating day on the green! Cardiff International Pool is a fantastic day out for all the family. There is so much to entertain you here, with four different slides, a lazy river, rapids, smaller slide and splash area for the younger ones and a huge water bucket that fills up and tips over with water every few minutes. In addition there is a 50 metre pool for those who want to swim and a gym with the usual equipment you would expect to see. The changing rooms are available for all to use, there are no specific rooms for males/females. Lockers are available but they are not very large. There is a cafe serving drinks and meals. It can get busy on the weekends and during holiday times so be prepared for this. Kids of all ages will love it here and are guaranteed hours of enjoyable fun, it is great value too making it an ideal day out. Cardiff Golf Club is a fantastic golf club on the outskirts of Cardiff City, it is a course that offers many challenges and will test all levels of golfer. The course is picturesque and well maintained with lovely facilities, the Clubhouse is modern and the staff are warm and friendly. The pro's here are very helpful and approachable in offering advise and guidance. The course itself has many interesting and challenging features, with numerous trees, meandering brooks and tight fairways. The atmosphere in the Clubhouse is warm and inviting and the choice and quality food on offer here is excellent and value for money. The Golf Shop is well stocked and has all the usual items you would expect to see. The golf fees are very reasonable here for the quality you get. Cardiff Golf Club should definitely be on your list of courses to play you will not be disappointed. Taff Valley Quad Bike and Activity Centre is located in 340 acres of farmland in the lovely Taff Valley. The landscape provides an excellent cross country trail to experience the fun and excitement of these bikes, as you travel over bumps and hills, through fields, woodland and streams. They have bikes available for children (aged 7 and over) and adults so the whole family can get involved. They have a circuit that is specifically for the children only, and others that range from easy to difficult. There are other activities available here you are not just restricted to quad biking, you can try your hand at archery, laser shooting, clay pigeon shooting as well as being able to organise gorge walking in the beautiful waterfall region of the Brecon Beacons. Before taking part in any activity you are given a safety brief by the friendly and professional staff. You are assured to get muddy on the quad bikes but that is all part of the fun, they do supply waterproofs and wellies. If you are looking for a rugged and natural outdoor adventure on a working farm then Taff Valley Quad Bike and Activity Centre is the place to go, great fun and excitement, friendly staff and reasonable prices, as well as the chance to try something new. Luxurious atmosphere and breathtaking views can be found at the Kendleshire Golf Club! This amazing facility offers a superb golfing experience with challenge levels suitable for everyone from beginner up. Happy couples can also plan a wedding with the Kendleshire wedding team. The golf club hosts events, holiday parties and much more! Whether you are a seasoned player or a newcomer learning the ropes, the Thornbury Golf Centre has something to help your game. This facility provides a free "Learn Golf" programme managed by qualified PGA professionals. The grounds also include a convenient golf shop, lodge, cafe and bar so you can stay refreshed while you play. Tor Sports and Leisure is an important place for gatherings and entertainment. The old Morlands Athletic and Social Club was renamed in 1988, creating the facility that is known today. Locals and visitors can participate in events or spectate. Interior spaces are available, including function rooms. A unique mural can be found in Skittle Alley, which is also used for fencing classes. Forest Hills Golf Club is located in the beautiful Forest of Dean, it is an 18 hole, par 72, naturally rolling parkland golf course amongst some stunning scenery, and has lovely vistas over the old market town of Coleford and of the Welsh hills and Herefordshire. The course is well maintained and is considered to be one of the best golf courses in Gloucestershire, and can be played all year round. This family owned club is as welcoming to visitors as it is to members of the club, you will receive a warm and friendly welcome from the staff, who are very professional and helpful. The course is challenging to all level of golfers so will appeal to both experienced and novice players, with many hazards including the bunkers and lakes. The greens are reasonably fast, the fairway is perfect as are the roughs, beautiful flowers grow around the course and the ponds are lovely too. The clubhouse has is very nice with excellent facilities, the members lounge enjoys magnificent views of the course. The food menu has lots to choose from and the food is really good, served promptly and very tasty as well as being great value for money. Forest Hills Golf Club is a lovely friendly club offering excellent facilities, stunning scenery and really reasonable green fees, it is a course that should not be missed. Whether you?re a novice or just want to improve your skills, Red Park is the perfect place to visit. Providing excellent facilities for all ages and abilities, the centre hand picks the best horses and matches them to the riders according to temperament and performance. The centre not only teaches riding, but also how to care for the animals. Aber Rocks is a dedicated indoor bouldering centre that offers a fun and thrilling day out, the difference between this and rock climbing is that there are no ropes. You do not climb particularly high, the maximum height is about 4.5 metres and the floor is all covered with a safety matting as well as foam crash mats to cushion your fall. Another difference is it is not just climbing up, you are required to work out the best route to get to the top, it involves mental as well as physical effort. There is a choice of varying climbing routes on offer here that ranges from simple to difficult, they have a stand alone boulder, a circuit training board, a campus training board, 15 metres of traverse wall, cave room and over ten metres of roof climbing. There is no specific equipment required you just arrive in your usual gym equipment, if you want to aid your climb you can hire in the shop specifically devised climbing shoes that have sticky rubber soles and climbing chalk that can aid your grip! Facilities here include toilets, a cafe, lockers, changing room and showers, so after a strenuous climb you can refresh and relax with a well deserved coffee and snack. The staff are lovely too, so friendly and approachable. Aber Rocks offers an exhilarating and exhausting day of fun, everyone can get involved and it doesn't matter how good you are it is still thoroughly enjoyable and at a very reasonable price too. The local leisure centre in Abergavenny has a 25metre swimming pool, a four court sports hall, two squash courts, as well as a number of martial arts and aerobics classes. Children's parties can also be catered for here; you can hire out the swimming pool, have use of the inflatables and a bouncy castle. Stretch out your legs and savour the lush green foliage and vibratn blossoms that cover Brandon Hill Nature Park! This exquisite area boasts an enchanting meadow of wildflowers that looks absoultely stunning by mid-summer. Admire knapweed, yellow rattle and ox-eye daisies in their natural environment. Woodland walking trails are available and make a great spot for bird watching! With a focus on promoting and appreciating biodiversity, Wildscreen has built a reputation with associations with many well-known environmental figures. The charity has helped produce a long list of nature-focused videos and photographs which has culminated in the celebrated Wildscreen wildlife and environmental film festival. Earth-friendly visitors can contact the organisation to learn more about upcoming events and opportunities. Resting quietly along the Bristol Channel sits the privately-owned Steep Holm island. This lush paradise exists in isolation, however that doesn't stop it from offering a number of exciting opportunities to curious travellers. The remnants of an Augustinian priory from the 12th century can be found here as well as an expansive nature reserve. The North Somerset Butterfly House will transport visitors to a serene paradise covered in lush greenery and enchanting landscape. Here is where a diverse menagerie of fluttering beauties thrive. Day long admissions is available along with group tours and seasonal tickets. This unique attraction can be found next to the Cadbury Garden Centre. If you love the work of Mother Nature, then you must see the breathtaking paradise hidden away at the University of Bristol's Botanic Garden! The grounds include a 640 square metre glasshouse that is divided into four climactic regions. The 1.77 hectare garden space boasts an impressive 4,500 species growing in four core collections. Dyrham Park spans an immense 270 acres of lush landscape. This region is home to a herd of fallow deer who freely wander the park just as they have for centuries. The grounds include a beautiful mansion which was originally constructed 300 years ago by William Blathwayt.Don't forget to explore the beautiful ponds, garden and wildflower orchard. Bwich Nant yr Arian Forest Visitor Centre is a stunning beautiful country park, with lots of woodland that surrounds a lake, it is very popular and attracts lots of visitors annually. Here you will find a number of activities including a selection of walking and mountain bike trails. The main attraction here is the National Bird of Wales, the Red Kite being fed daily, beforehand a naturalist will give an informative and interesting lecture on the history of these birds, you will see a hundred or so Kites in the sky, an extraordinary sight. There are two play areas a toddler play section and the Dizzy Heights play area that is geared towards the bigger children. The whole family can enjoy the animal puzzle trail, collect your leaflet when you arrive and spot the animals as you walk along the Barcud Trail. Horse riders are gladly received here and there are specific routes marked out for them. There are four different orienteering routes here, they start with beginners and range up to difficult, each route offers various challenges. Facilities include a cafe, toilets and picnic areas. There is at least one ranger on site and the staff are friendly and informative. With free entry and an nominal car parking charge it makes for a great day out for everyone. Bute Park is a 56 hectare area of mature parkland in the heart of the city. It is bordered by the River Taff, Sophia Gardens, Pontcanna Fields and Cardiff Castle. The park is currently undergoing a major restoration project to further enhance the facilities available here. Bute Park is classified as a historic landscape and is rich with history and wildlife, and was the site of a former Blackfriars Friary. A main feature of the park is the Arboretum, it was built in 1947 and consists of a blend of interesting, rare and ornamental trees. With over 2000 trees, many of them are champion trees, the largest types of their kind in the UK. An esteemed herbaceous border grows beside the River Taff. Other features include stunning floral displays, sports pitches, woodland balance trail, sculpture trail, fitness trail, Millennium Footbridge and Education Centre. You can choose from either the Summerhouse Cafe or Secret Garden Cafe are both warm and cosy with relaxed atmospheres, they serve a variety of high quality hot and cold dishes and lovely coffee. The park holds a number of major cultural events throughout the year including, the annual Cardiff RHS show, Cardiff Mardi Gras and Sparks in the Park, a firework display, other community events also take place so it is definitely worth checking to see what events are taking place. Bute Place is wonderful place for everyone, it is tranquil and serene with lovely walks, lots to see, you will be amazed by what is on offer here. You can even take an aquabus boat from here to the Bay area. Drffyn Gardens and Arboretum are a prime example of majestic Edwardian gardens that extend to more than fifty five acres that comprise of a selection of intimate garden rooms including a rose garden, Pompeian garden and a number of ponds. In addition there is an enormous lawn that is edged by seasonal bedding and a croquet lawn. Also found on the glorious grounds are a substantial glasshouse, statuary collection and an arboretum that holds a collection of trees from across the world. The gardens were designed by the renowned landscape architect Thomas Mawson and date back to 1906. All the trees are labelled so you can tell what they are. These impressive gardens are stunning, beautifully maintained and offer delightful walks around them, where you can admire all the plants and trees from all over, when in full bloom they are a riot of colour and have the most amazing aromas. The gardens are open daily throughout the year from 10.00am and in Summer the hours are longer. There is a charge for enry. There is a welcoming cafe that serves a nice selection of beverages, lunches and snacks. Drffyn Gardens and Arboretum offer so much to see and are delightful to both gardeners and non gardeners, even children will love the open spaces and places to explore, a lovely day out. Clytha park is an 18th century landscaped park, it is surrounded by fine trees, a lake and a walled garden dating from 1790. There is a riverside walk leading to a path where you can enjoy the spectacular views. Take some time to wander around Clytha Castle and the estate. The Chocolate Tart is heaven for sweet lovers. Since 2007, this cookery school has been helping individuals improve their culinary skills in beautiful Congresbury. Two and three hour workshops are offered along with themed classes and junior workshops for aspiring chefs between the ages of 10 and 16. Visitors should contact the Chocolate Tart for rates and class availability. The Severn Bridges visitors centre provides a wealth of information focused on the Severn Bridge (Pont Hafren) and the Second Severn Crossing (Ail Groesfan Hafren). The centre originally opened in 1998, boasting a large collection of information on traffic, history, local weather and tolls. Car parking is available at the centre which is located near a public cycling and walking path. The proud Clifton Suspension Bridge is recognised as the symbol of the city of Bristol. Spanning the Avon Gorge at a height of 75 metres over the high tide line, this impressive manmade structure is one of the most ambitious architectural creations in the region. Travellers can stop by the visitors centre found along the Leigh Woods side to learn more. 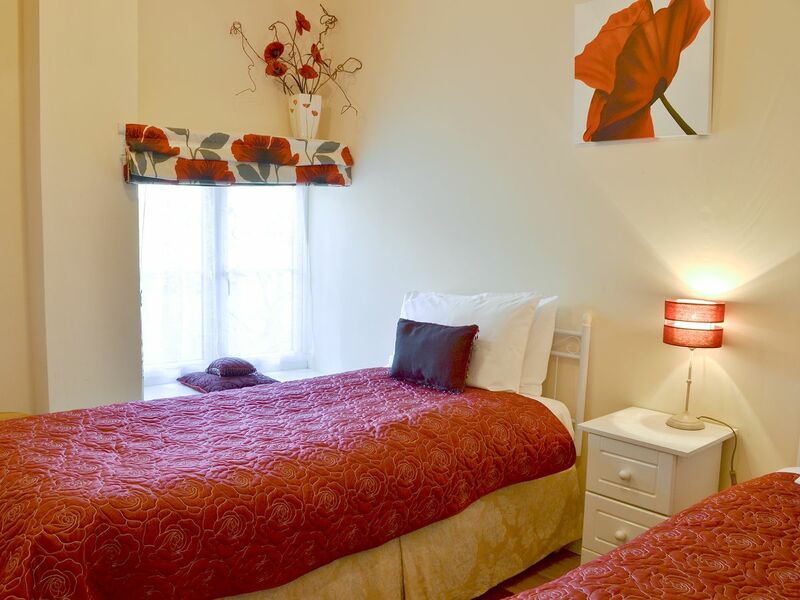 Emmaus House invites travellers and professionals to hide away in its tranquillity. Many retreats are offered with a variety of focuses including scripture, creation prayer and seasonal themes. Guided and non-guided retreats are available. 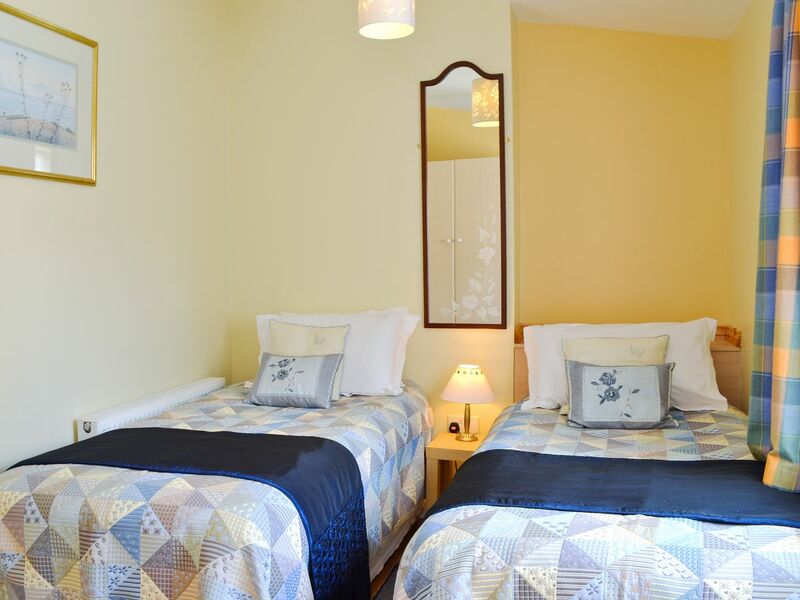 Guests are welcome to reflect and meditated in the breathtaking surroundings that make Emmaus House so visually stunning. The Royal West of England Academy invites creative individuals to explore a realm of design and art. Intellect and individuality come together to create a unique blend of exhibitions. Well-known artists come to Bristol to showcase their talents at the academy. The facility also includes a cafe with delicious baked goods, sandwiches, salads and much more! The Orpheus Cinema belongs to the Scott Cinemas family. This local attraction provides a diverse selection of film entertainment for the local community to enjoy. New releases are featured in many genres, from children's movies to dramas, comedies and much more. Take a break from sightseeing to sit down and enjoy a good flick at the Orpheus! The University of Bristol in the United Kingdom has been serving the community since the early 1900s. This educational institute is a research university that welcomes students to come and expand their knowledge to move on to bigger, better things in life. Visitors should contact the school to learn more about upcoming events. Watershed is an art centre that takes a different approach. Rather than restricting its scope to one area, the Watershed operates as a cross-art form venue in the city of Bristol. Exciting collaborations are produced here along with ambitious visions in the realms of music, theatre, film, visual art, design and technology. Founded by City Dock Ventures in the 1970s, the Bristol Ferry Company has seen its fair share of ups and downs. The company experienced hardship in 2012 but has since overcome and continues to offer a reliable ferry service to travellers and residents. The five boats, named Brigantia, Matilda, Emily, Independence and Margaret, provide safe passage with a number of convenient amenities. Hengrove Park offers visitors a unique experience nestled in Bristol. The area includes a play park and large open space that once served as the Whitchurch Airfield. A wheels park is available for BMX riders and skateboarders. Most areas in Hengrove Park are open all year round. Travellers should check for seasonal open times before visiting. Harmony is the theme at the Hamilton House. This unique local attraction strives to provide an environment that allows visitors to exist harmoniously with themselves and all around them. The event calendar is always packed with exciting events, each with a diverse focus. Rooms for meetings, events, conferences, exhibits, dance and treatment are also available for hire. Doctor Who Experience Cardiff Bay is a must for all Doctor Who fans, it is multi-sensory 4D experience that is great fun for the family and fans. During an interactive journey both you and the Doctor are taken on an amazing experience involving time and space. This is probably the highlight of the experience and won't give too much away. Following on from this amazing adventure you can take time to see the world's most extensive collection of authentic Doctor Who props and artefacts that consists of the complete range of Doctors Who's iconic costumes dating from 1963 to current day, the TARDIS set used by David Tennant as well as meeting all the enemies he has encountered over the years. During your visit you will get to see first-hand what is involved behind the scenes and what it takes to make the special effects. You can dress up and have your photo taken with a Dr Who backdrop, a fun souvenir of your time here. Whether you are a fan or not you can't help but enjoy the overall Doctor Who Experience, it is thoroughly enjoyable and most interesting, the whole family will love it. A definite must !! World of Boats is an exemplary exhibition that has a number of the World's most interesting boats, it is situated in a great quayside location in Cardiff Bay. The exhibition is video presented and covers all aspects of the boats from the humble beginnings of a crude dug-out canoe to todays state of the art craft, that have all types of gadgets and gizmos. The great thing about World of Boats is you don't have to be a boating fanatic to enjoy it, and it is suited to all ages, there are lots of aspects here that are entertaining and interesting things to see. There is the film about the Cockleshell heroes, reading about the pirates around Cardiff and South Wales many original models of boats like a canoe, gondola, fishing vessels, rowing boats used for many purposes and much more. In addition there are lots of nautical items and artefacts, like ropes, cannons, binnacles, paintings, shells and more. There are touch screens and displays where you can find out the workings of boats and the history of them. There are plenty of professional and friendly people on hand to answer any questions you might have. It was also great to see how a boat is restored. After touring the exhibition you can head to the cafe that has the best views of Cardiff Bay, they serve a great selection of hot and cold drinks and light snacks and meals, it is in a lovely setting and the food is great and reasonably priced. World of Boats offers a great day out for all ages and the entrance fee is very reasonable, lots to see and do you won't be disappointed by your visit, highly recommended. Wales Millennium Theatre is a fantastic all round state of the art entertainment venue, in a vibrant waterside setting, it is a hub of the community and draws people from all over. They host all types of shows and exhibits for your enjoyment, they include West End musicals, opera, ballet, contemporary dance and hip hop, stand up comedy and art exhibitions. In addition they operate workshops, training days, free daily foyer performances and guided tours. The facilities are great with bars and restaurants and a nice gift shop too . Staff are friendly and courteous. The seats all offer great views of the stage and the acoustics are excellent. You will find that there is something taking place here most days so certainly worth checking the calendar of events. If you get to see a show here it is highly recommended. Techniquest is a science museum that is hands on and interactive and the ideal venue for families, and caters to all ages. It is a place where learning is done in a fun environment, young and old will learn lots of new things without even realising. There are loads of exhibits that cover all types of topics, with challenges, puzzles to solve, games to play and workshops to get involved in. There are shows, the Bubble Blast is free and the Planetarium attracts a small fee, they are both very good and not long so keeps the younger ones attention! The staff are friendly and helpful and can be found throughout the museum, if you require any assistance. The whole venue is clean and well maintained. The cafe is nice, it has a good selection of tasty hot and cold meals. There is a gift shop too not that expensive and some fun items for sale. Techniquest offers a fun, interesting and different day out for the family, perfect for those wet days, and it is not expensive to get in. On a nice day you can take a walk along Cardiff Bay after your visit. Get your game on at the Bowlplex! This indoor attraction offers a completely unique environment to test your skills with a bowling ball. The facility offers everything a person could need to have a good time, including the Bowlplex grill, the Sega prize zone and activities for groups and parties. The Welsh National Opera is housed in a magnificent building, a former stately home with interesting architecture. It hosts a number of productions, covering everything from concerts, solo performances to full scale operas, with both professional and amateur productions. They are sometimes bold in the productions they stage favouring the less well known operas in addition to the usual favourites. At the Welsh National Opera they want to share their passion for Opera and try to make the it available to all individuals and break the consensus that it is something that can be enjoyed by only the affluent. The atmosphere is vibrant but relaxed allowing you to make the most of your experience here. Ticket prices are extremely reasonable and represent great value for money, you certainly could not see the standard of productions for the same money anywhere else in the country. The facilities here are excellent, and all seats offer good views of the stage. There is plenty of access to bars and refreshments, the staff are friendly and approachable. The Welsh National Opera has got it so right here, stunning venue, amazing productions and superb value. If you have not yet experienced an Opera then this is definitely the place to start, you will be mesmerised by the whole experience. NoFit State Circus is a highly acclaimed unique venue, it is vibrant and dynamic. They offer you the choice of seeing one of their shows or training in circus skills, with them. They offer classes from beginners right up to master classes. It is a contemporary circus that blends live music, dance, stage design and film with the usual circus skills. They tour around the country, they will pitch up a tent, assemble an audience and perform their show, afterwards they pack up and leave the audience with lasting memories. The team of performers connect with the audience, there is so much to see and follow, you don't actually sit down you walk around to see the different performers, as the show goes on above, behind and in front of you. Children get to sit at the front so they get a good view. It is a fantastic event for all the family regardless of age, it will keep everyone enthralled. It is a colourful, lively and interactive show that will amaze you and leave you wanting to become a performer, NoFit State Circus should not be missed. Look out for the next tour!! Millennium Stadium is a great place to visit whether you are a sports fan or not, you can't help but be impressed with the sheer size and atmosphere of the stadium. With so many famous people having performed or played here it is like walking into a hall of fame. It has been the venue for numerous concerts and major sporting events and has evoked many emotions and great excitement amongst its spectators. During your guided tour you will have an experienced, friendly and informative guide who will take you around this dramatic structure and introduce you to the many areas and places of interest, including the Press Conference Suite, the Dragon's Lair, the dressing room for Wales team, you can imagine the apprehension and excitement of the players before a match. Experience the walk through the players tunnel and how it feels the moment you enter the pitch, to the screams of thousands of fans. See the pitch from a different perspective in one of the VIP hospitality suites and also the President's Box, an area that is usually maintained for royalty. You also get to learn about the sole palletised pitch system and totally retractable roof in the UK, this permits the whole playing surface to be taken away to create one of the world's biggest indoor arenas. There are special Santa Claus tours in December and they also operate Rugby Legend Tours where you will be taken around by a famous rugby host who will recount his experiences, answer questions and much more. Millennium Stadium is an interesting and exciting tour that will appeal to all ages and is suitable to everyone, informative and fun, highly recommended. TeamSport Go Karting Cardiff is the foremost racing track about, it is a testing track with a mixture of hairpin bends, full width flyover and sweeping slippery corners, it will test all drivers skills and abilities. It is suited to both novices and seasoned go karters. The 1600cc karts are well maintained and you are given a full safety briefing before your race. In addition they supply race suits and helmets, up to date electronic timing systems and large LCD screens as well as digital track time sheets to record your scores. The staff are professional and friendly. They have a person who acts as a PA and this gives a nice fun touch, as well as the medal presentation. There is a cafe here that serves a selection of hot and cold drinks and snacks, the perfect place to recharge after a strenuous race. TeamSport is excellent value for money and suitable for those aged 8 and over, they have karts specifically for them. I would definitely recommend to try them out, you will not be disappointed, guaranteed fun and excitement. Parc All Weather Play is what it says an all weather play facility for children from the ages of 1 to 12. The equipment is excellent made from quality timber and is sturdy and safe and the facilities are clean and well maintained. There are outdoor, indoor and undercover areas for the children to enjoy, including a sand pit and water fun, pirate castle, indoor slide, large forts, climbing frames, small zip slide and climbing wall, foosball table and ping pong table and lots more. There is a cafe that serves a selection of hot and cold drinks and some light meals but, they do allow you to take in your own food, which is unusual but a great touch. There is plenty of seating available and for the colder weather if you are outdoors there are blankets and heaters. The staff are friendly and helpful. You only pay for the children, adults are free so makes it very reasonable and great value. Parc All Weather Play is highly recommended to keep the little ones and bigger ones entertained whatever the weather. Symonds Yat Rock can be found within the beautiful Forest of Dean and from this vantage point 120 metres up you are awarded the most amazing and breath taking panoramic views out over the forest and surrounding countryside. In the cliffs located nearby, Peregrine Falcons nest and you will be able to enjoy watching these majestic and powerful birds soaring through the skies. There is a Iron Age Hill fort located here also. The region is home to a wealth of wildlife including, fallow deer, foxes, badgers, otters, dormice and snakes as well as a wealth of birds, insects and butterflies, real nature paradise. Symonds Yat Rock is the ideal place for a walk amongst nature and were you are awarded with the most fantastic views. There is a log cabin located here where you can obtain hot and cold beverages and a selection of refreshments, it is seasonal though. Some routes can be quite steep so take care and wear appropriate footwear, all routes are clearly marked with distance. Everyone will love spending an afternoon at the Bowlplex! This entertainment facility provides a wide range of appealing activities. Try ten pin bowling or American pool. The Sega Active Zone is the ultimate arcade experience for all ages. Take a break with Costa coffee or order something from the grill menu. The Congress Theatre offers an array of entertaining programmes available each month. Volunteers make up the theatre company while the Congress Youth theatre provides young people with a way to explore their talents on and around the stage. Travellers can consult the official website to learn more about show times and what's on during their stay. The Wells Film Centre is an independently, professionally run cinema, featuring all the latest films — mainstream, arthouse and world cinema — all displayed on very high quality projection. Battlefield Live Caerphilly allows you the opportunity to experience a realistic combat entertainment experience using advanced gaming guns, it is the most realistic battle experience you will have, in this purpose built site. It is located in seven acres of woods and green fields that offer lots of natural coverage and hiding options. On arrival you don your coveralls, put on your face paint, get your weapon, your mission is explained and you are ready to go following a safety briefing. The equipment is of the highest standard and well maintained. It is an exhilarating and fun experience for all so people of all ages (six upwards) can get involved. The game lasts about two and a half hours and is excellent value for money. The staff are friendly and helpful and the overall it is very professional, well organised and well run. Battlefield Live is an awesome experience, full of energy, excitement and loads of shouting a fantastic outdoor event that everyone can get involved in. Tor's Tour of the Tor offers an up close and personal look at this fascinating region. Enjoy an informal walking tour that covers many key locations, including Glastonbury, Tintagel, Avebury, Cornwall, Stonehenge, Bath and much more! Tour length varies from a day or two to a full week of exploring. Divine Light Tours is a fully insured and licenseed bespoke travel agency that offers unique journeys through England's gorgeous landscape. A variety of tours are offered, ranging from short and single day excursions to extended tours based on the traveller's need. Make your vacation even better by following a seasoned Divine Light Tours guide! Royal Forest Dean is an area of outstanding natural beauty and makes the perfect place to visit whatever the time of year, it offers peace and tranquillity as well as a unique charm. It encompasses the three counties of Gloucestershire, Herefordshire and Monmouthshire. There are a wealth of activities you can enjoy here including, trying one of the many cycle routes, they are clearly signposted and you never how who you might encounter, perhaps you might be lucky enough to see a herd of wild deer or boar. With hundreds of different walks to enjoy you will be spoilt by the things there are to see, the walks vary in length and difficulty, there is even a scenic trail where you can see some lovely sculptures. The beautiful rivers offer a choice of boating or fishing. There is an abundance of natural attractions, bird watching, mushroom hunting, wildlife and scenery to enjoy, interesting history and heritage with castles to explore and evidence of coal and iron mining that used to take place here. It is the perfect environment for taking pictures so don't forget your camera. There is plenty of picnic areas to choose from so you can make a day of it here. The Royal Forest of Dean offers the opportunity to escape from the hustle and bustle of everyday life in an area that is simply magnificent so harmonious and serene. Way2go Adventures are located in the beautiful Forest of Dean, amongst the stunning scenery. They offer a range of activities including, canoeing, kayaking, bushcraft, nordic walking and raft building. The staff here are very friendly, professional, encouraging and patient and take the time out to explain the activities and the safety issues involved. All equipment is provided therefore, all you need to take along is suitable clothing and footwear. Whatever activity to choose you will be able to enjoy the fabulous scenery and local wildlife whilst having fun in the great outdoors and keeping fit. Way2go Adventures offer a brilliant experience and all for a great price. If you are looking for something different to do and are in the area don't miss the opportunity to try one of their fantastic activities. A museum for bakelite — the world's first and most successful synthetic plastic, the material with a thousand uses. Toasters, radios, egg cups, televisions, telephones, gramophones, hairdryers and electric heaters are all on display. The Culinary Cottage caters to all cooking abilities, from absolute beginners to seasoned cooks, it allows everyone to learn new skills that can be put to use once you get home. They run a range of courses under the watchful and professional eye of Penny. All classes are restricted to keep them small so all students get the opportunity to get involved during the course. They run a range of courses from one day through to five day courses. During the course you will be given useful tips and hints that you can put to use back in your own kitchen, in addition you will receive a complete portfolio of recipes and menu ideas on completion of the course. All courses take place in Penny's kitchen providing a relaxed and informal atmosphere that puts you at ease and allows you to relax and get the most from your time here. There is lots of hands on involvement so your confidence grows and you leave feeling much more confident and ready to try things at home. You will soon be marinating, flambeing and sauteing and there will be no stopping you in the kitchen, you will be more adventurous and confident. If you are looking for an alternative activity whilst on holiday this is definitely one to try, fun and you also come away with a new skill. The courses are reasonable and Penny is lovely, friendly, helpful and patient. Aerosaurus Balloons are a well established premier UK ballooning company that have been operating hot air balloon flights over the beautiful countryside of South West of England, since 1987. Become one of the thousands you have enjoyed these aerial flights as you glide through the skies. It is an experience of lifetime and is suitable for all those aged over seven. The flights depart from Somerset, Dorset, Wiltshire, Mid and East Devon, South Devon and Cornwall, so there is a location to suit everyone. As you drift along you will be rewarded with some of the most beautiful and picturesque scenic landscapes anywhere in the country, as you get 360 degree views that are uninterrupted. As you look down it is like looking at the world scaled down with the villages looking like model villages. You can choose when to balloon in dusk or dawn to avail of the stunning sun rises or sun sets and savour the dazzling colours as you soak up the peace and tranquilly of the skies, or make your trip even more special with champagne. You will get some amazing photographs so don't forget your camera. You are in safe hands with Aerosaurus Balloons they have a faultless safety record and are crew and pilots are highly trained and professional. Obviously, all flights will be dependent on weather and ground conditions. A balloon flight will exceed your expectations, it is an unforgettable experience and something that everyone should experience at least once. Scuba Scene is the place to come in Somerset if you are looking to learn how to dive. It is located in the centre of the town and offers a friendly and professional service. All instructors are highly trained and it is a PADI 5 Star IDC centre that teaches the complete range of PADI recreational and professional courses. The equipment is well maintained and in great condition, they provide all equipment so you don't have to take anything along with you. The staff are so friendly, patient and are extremely diligent in safety and will put you at ease if it is your first lesson and you are in anyway nervous. Whether it is your first lesson or you are training to be an instructor you can rest assured you are in safe hands. In addition to scuba diving, they offer snorkelling, surfing, sailing, canoeing and kayaking. They also operate a diving club where you are welcome to join them on local dives or those they arrange abroad. If you are drawn to experience what life is like under the sea then Scuba Scene is the place to come to learn all the skills you need, it opens up a whole new world. Scuba Scene is a highly professional and friendly dive school and is highly recommended if you are wanting to learn a new skill or brush up on your rusty skills. The Frenchay Village Museum in South Gloucestershire is an enchanting place right out of the history books. The village museum looks much as it did in 1910. The archives provide a wide range of information, documents and photographs including parish records, censuses, cricket clubs, hospital records, biographies and much more! Caldicot Castle is nestled in among serene gardens and lush woodlands in Monmouthshire. This gorgeous site was originally founded by the Normans, who used the structure as a stronghold. It was later restored to serve as a Victorian family house. Today the grounds serve as a fascinating historic landmark and vibrant place to spend a day outdoors! Oakham Treasures is recognised as the largest privately-owned museum of farming and retail history in the United Kingdom. This exciting attraction was opened to the public in 2008. Visitors of all ages can explore the vast collection housed inside which also include a large vintage tractor and farm equipment exhibit. Tyntesfield is rated as one of the ten best National Trust properties for butterflies — Brown Argus which breed on Common Rockrose and Common Blue on Birdsfoot Trefoil in the lawns can both be seen flying in June and August. Nettle feeding and garden butterflies are also seen. The Clifton Rocks Railway is an amazing architectural accomplishment. Hidden away under Avon Gorge, the railway was literally constructed inside the cliffs. This approach was taken to maintain the natural beauty of the area without impacting its visual appeal. Today elements of the railway seem almost surreal, as though a civilised building was inserted into the Earth's stone and then forgotten. Visitors can climb to the top of Clifton Observatory and Caves to get an amazing view over the Clifton Suspension Bridge! This fascinating landmark began as a snuff mill constructed by James Waters. Parts of the structure were decimated in 1777 during a powerful gale. The cave entrance provides another breathtaking view of the bridge and Avon Gorge. The faithful in Clifton, Bristol can make their way to the All Saints church. This important religious landmark holds weekly services. The original church was built in 1868 and those who have managed it throughout the years have adhered to a strict schedule, celebrating on approximately 99.3% of all days since then. Cabot Tower can be found standing proudly atop Brandon HIll in Bristol, England. This handsome structure was constructed in honour of John Cabot, the famous Italian explorer who set out aboard the Matthew, Work on the tower started in 1896 and was completed by 1898, 400 years after Cabot set sail. The S.S. Great Britain once served as a passenger steam ship. Between 1845 and 1854, the ship was known as the longest passenger-bearing vessel in the world. Today the ship houses an exciting museum that provides information, facts and interesting details. The S.S. Great Britain currently hosts a number of events, from nautical story telling to crew talks and much more! The Floating Harbour had a powerful impact on the city of Bristol after it's opening in 1809. It took 80 acres of tidal river to produce enough water to keep seacraft afloat. The harbour became even more important as commercial port use increased until 1975. Today this key landmark serves as a regenerated waterside space for commerce, residence and leisure. Found on Queen's Road in Clifton, the Wills Memorial Building is an important part of the community. This breathtaking structure is adored for its stunning style, which features elegant architecture that will captivate the eyes and the mind. Along with a double stone staircase and vaulted ceiling, this building provides a massive 177.6 square metres for large gatherings. 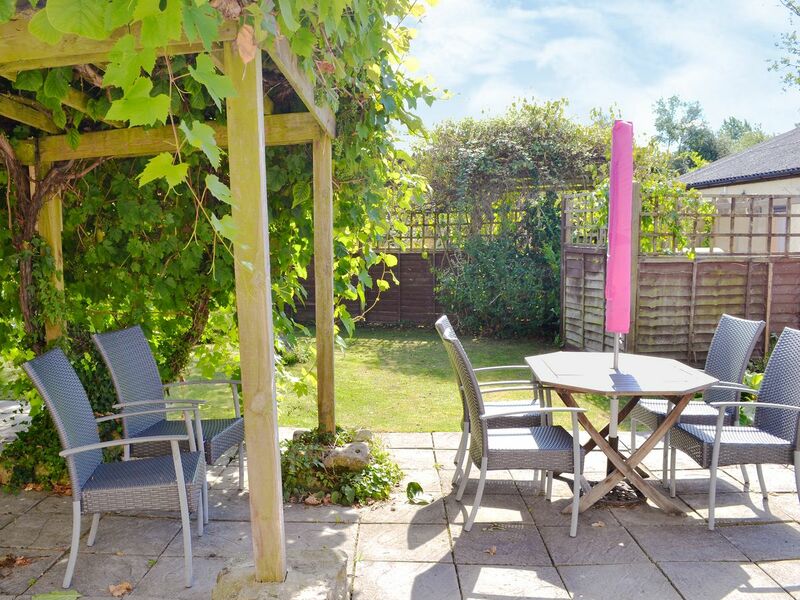 Blaise Hamlet is a quaint settlement nestled within a beautiful open green space. 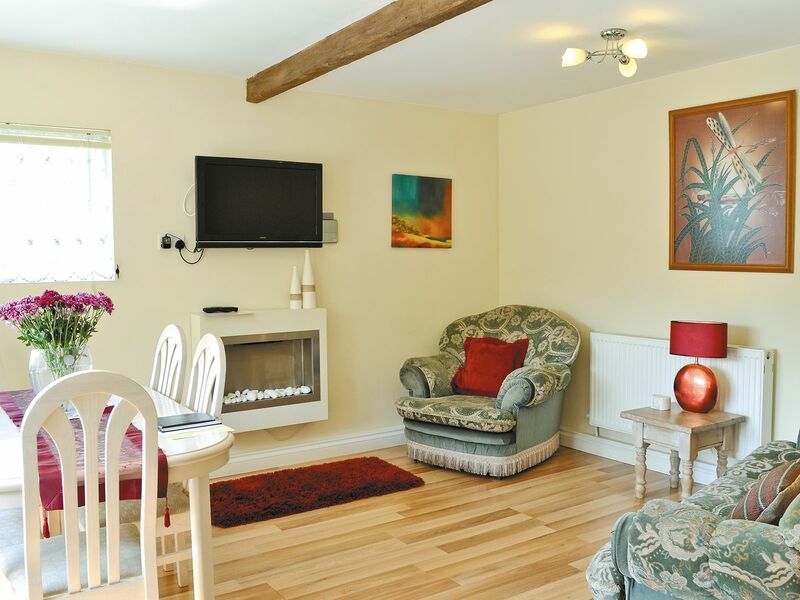 Each cottage was designed by John Nash using an original layout. This was one of the earliest planned communities. The grounds include a water pump and sun dial. Visitors can explore the village however the cottages are private homes and cannot be entered. The Georgian House is a six storey, 18th century town house nestled right in the middle of Bristol. This fascinating landmark has been carefully restored and decorated to recreate the atmosphere it once possessed in decade's past. See what life was like during the 18th century while exploring four floors and 11 rooms. With seven rooms covering two floors, the Red Lodge Museum has a lot to offer visitors. The house was originally constructed in 1580 and once served as a Victorian girls reform school. Today it is decorated in elegant Stuart, Elizabethan and Georgian furnishings with gorgeous oak panelling, carved chimney and plaster work ceiling. Bristol Cathedral invites travellers to stop by and explore. This important landmark was founded in 1140. Today the structure offers a variety of gorgeous architectural components including unique memorials and a classic organ. The grounds include a cafe near the cloister. Don't forget to stop by the gift shop to browse a selection of books and devotional merchandise. Nestled at the centre of Bristol city is Saint Stephen's. This important organisation provides local residents and visitors with a place to celebrate their faith while connecting with others. The facility also hosts unique arts and faith based events with live performances and much more. Don't forget to stop off at the Cafe for cake, lunch and beverages. North America was discovered in 1497 by John Cabot aboard the Matthew. His arrival on Newfoundland actually occurred before Christopher Columbus arrived in this part of the world. Today visitors can see a true-to-life replica of the original ship docked right in Bristol Floating Harbour. Learn more about this amazing historic event or set sail on an adventure! St. John's Church in Bristol is more than a religious landmark: it's an important structure in the local community. The church was constructed during the 12th century to serve as both a place for spiritual reflection as well as fortification for the city's physical defences. Today visitors can admire an elegant example of aged architecture that tells many stories about the region's heritage. St. James Priory is a place of heritage and spirituality. This beautiful church welcomes visitors to join in for reflection and celebration of God. Many exquisite architectural features can be admired and really make the experience unique. The two story Cafe Refectoire offers soup, panini, sandwiches and other delicious tidbits. For more than 800 years St. Mary Redcliffe church has stood as a powerful pillar and testament to the timeless craftsmanship of old. The interior is absolutely breathtaking, with lofty ceilings and vibrant stained glass accents. Travellers are welcome to take respite from the world and reflect inside this great religious monument. John Wesley's Chapel is a place of historic and spiritual significance. Visitors can learn about the lives of Charles and John Wesley. John is recognised as the founder of the Methodist movement. The chapel first opened in 1778 and would serve as a replacement for the previous chapel, the Foundery. Travellers are invited to explore and reflect during their stay. Arnos Vale Cemetery is truly a "place to remember." This local landmark maintains digital records of burials and cremations as far back as 1839. Burial and memorial services are offered. Curious visitors will be interested in exploring the cemetery's vast history, which includes elegant monuments, buildings and gorgeous Gothic style architecture. St David's Cathedral has a long history and the construction of the original church started in 1839 and finished in 1872, unfortunately, during the air raids in 1941 the Cathedral was destroyed however, it was painstakingly restored and was reopened to its former splendour in 1959. This spectacular Cathedral is in an idyllic setting, with glimpses of Pembroke Bay and approached through a medieval gate. The interior has lots of interesting features and lovely architecture, sloping floor, tombs, little ante rooms, a library and the roof itself is stunning. The Bishop's Castle contains electronic information centres, that provide lots of details on the Cathedral and local area, very informative and interesting. There is lots to explore from the lookout towers, cellars and grand rooms, you could easily pass several hours admiring the Cathedral and grounds, it is lovely and peaceful here. The choir is amazing and not to be missed is Evensong. You might even get to hear the choir practising, a joyous sound. The gift shop has some unusual items and is worth taking time to look around. The St David's Cathedral is definitely worth a visit, it will be interesting to all ages, it is a true historic gem. Firing line, Cardiff Castle Museum of the Welsh Soldier is hugely inventive and interactive in allowing access to the long and illustrious history of the honoured and outstanding service of the 1st Queens Dragoon Guards and The Royal Welsh, these noble soldiers continue to serve to this day. They were involved in many notable battles including, the Battle of Waterloo 1815, Rorke's Drift against the Zulu's 1879, in addition to recent ones in Iraq and Afghanistan. During the exhibit you will be introduced to these brave and normal people who made the decision to serve and protect the Crown and Country, many carrying out acts of immense bravery. The museum is suitable to all ages and abilities and has wheelchair access. On show here is a fine collection of military uniforms, weapons, medals etc, you can search for past soldiers on their database. There are lots of text on the displays to explain what they are, it is very informative. The staff are friendly and knowledgeable and will answer your questions happily. They have a number of temporary exhibits too, that are frequently changing, so always worth coming back to see what is new. The Firing Line is an interesting and informative exhibition that all ages should find interesting, admission is included with price of the ticket to Cardiff Castle. Cardiff Castle is a medieval castle and Victorian Gothic renaissance mansion that is positioned in the heart of Cardiff on eight acres, this impressive structure dominates the city's skyline. It was first constructed in the 11th century as a motte and bailey castle. Standing for more than 2000 years it has a long and interesting history that you get to learn about during your time here. Your journey starts at the Interpretation Centre, here you can view the exhibit and watch a film that introduces you to the immense history of the castle. From here you can take your own audio tour, you will get to see the grounds, battlements, wartime tunnels that were used as air raid shelters during World War II, Norman Keep, 15th century Undercroft and the sumptuous Victorian apartments. Or take a guided tour with a friendly and knowledgeable guide, they will talk you through the many fine features, excellent craftsmanship in the plaster and woodwork and opulent murals, stained glass, gilding, furniture and furnishings and much more. The castle is fun for all the family, the children can get involved in the family trail and the younger ones can enjoy dressing up in costumes in the dressing up corner, the Education Centre is interesting and informative. Also here is the Cardiff castle of the Welsh Soldier, get to learn all about the history of these brave soldiers who protected the people of Wales, see lots of memorabilia, such as military uniforms, weapons, medals and much more. There are wonderful views from the Keep and worth the climb up the many steps, beware in some places it is narrow and steep. The cafe is good value and serves a great selection of tasty hot and cold meals and drinks. Throughout the year there are a host of events that take place from medieval Jousting, Shakespeare midsummer evenings and reminiscent Victorian Christmas's, it is worth checking the calendar of events to see what is taking place. Cardiff Castle provides an excellent base to learn history in an interesting and informative way, fun for all ages, it makes for a lovely family day out, take a picnic and enjoy the castle grounds. Don't just ride a train, go on and adventure with the Avon Valley Railway! This nostalgic experience offers fun and excitement for the entire family. Climb aboard a real, functioning steam train. A buffet is available as well as other amenities so visitors can relax and enjoy every step of the journey. St John the Baptist Church has a long history and is one of the oldest churches in Cardiff and next to Cardiff Castle the oldest medieval building in the city. It is a beautiful church with some interesting architectural features, and other items of interest in particular the unusual tomb with statues of the two Herbert brothers, the Willis Organ, the pretty decorated windows, the perpendicular tower and nave. During the summer months you can gain access to the tower where you are afforded views of Cardiff. There is a lovely cafe that is very reasonable and serves great coffee and a selection of light refreshments and cakes, the proceeds being used for the restoration of the church. They hold a number of concerts here at various times so you might be lucky to catch one of these. St John the Baptist Church is worth taking the time to visit if not to enjoy the many features and history but to take in the peace and tranquillity here. Cardiff today is a modern and cosmopolitan city but its beginnings were much different, at The Cardiff Story, you will learn about the city's humble beginnings as a small market town and its growth to a port and the city we see today. Located in the lovely and historic Old Library building you will find a variety of temporary exhibitions that are abundant with stories, artefacts, photographs and descriptive films that narrate the rich history of Cardiff, as well as individuals talking about their works and lives here. There are also interactive features like the Time screen and the rotating Victorian house, 3D map of important buildings, dressing up clothes for the younger children. It is not a large exhibit but, the information here is informative and interesting you will be surprised by what you will learn during your time here. The Story of Cardiff is definitely worth a visit and entry is free, it will appeal to all ages. Llandaff Cathedral is located on one of the oldest Christian sites in Britain, it is in a lovely tranquil and pretty area, near to the banks of the River Taff, an area of preservation. The actual Cathedral can be dated back to 1107, with some parts of the church still remaining from that era, including, the High Altar and doorway that takes you to the St David Chapel. The new West front was constructed around 1220, and is considered to be an important and notable medieval work of art in Wales. There were further additions in the 13th Century namely the Chapter House and Lady Chapel, with further additions and improvements over the years that blend well together. There are elements of the cathedral that can be dated to each century, it is a true architectural delight. Inside there are many lovely architectural features too, a particular highlight is the "Christ in Majesty" statue, equally impressive are the paintings and windows, it is certainly worth taking the time to visit and is open daily. There are volunteers who are happy to take you around and explain the history or you can wander by yourself. Today it continues to act as the main place of worship and service in the Diocese of Llandaff, and with regular services you might get to take part whilst here, or hear the brilliant choir rehearsing. Llandaff Cathedral is certainly worth a visit. The Llantarnam Grange Arts Centre invite all visitors to delve deeper into a world of creativity and individuality. This attraction contains an eclectic array of fine art that utilises many different themes, colour schemes and mediums. Discover inspiration and show your appreciation for the unique work of many talented people. One of the most beautiful of the country's cathedrals, Wells has survived eight centuries with all its associated buildings still surrounding it — the Chapter house, Vicar's Hall, the cloisters and the unique Vicar's Close. Grosmont Castle offers a well-preserved look at Irish history. It may have been established by Earl William Fitz Osbern in 1070. After the Earl's death, the castle was placed under the control of the Ballon family and later converted into a lordship. Today visitors can explore the ruins to get a unique glimpse at life during a different era. Thornbury Castle is the only Tudor castle hotel operating in England. This fascinating landmark offers luxurious accommodations inside a stunning structure that is teeming with local history. From 1511 on, the castle served as the home of the 3rd Duke of Buckingham. It was later confiscated by King Henry VIII who resided there for 10 days in 1535. Caerphilly Castle is a dominant feature in the town, this impressive structure has a long and interesting history and is considered to be in biggest castle in Wales. It was a strong defence being encircled by a number of moats and watery islands together with its concentric walls within walls that made it difficult to attack. It was also built to be a residence with large and comfortable rooms. It is a huge and formidable structure but inside feels smaller and not as imposing. The views from the top of the tower are wonderful. An intriguing feature of the castle is the leaning tower, it leans even more than Pisa, a wonderful sight. There are many rooms that are still intact, fireplaces and toilets, the Great Hall is wonderful and displays a number of Coats of Arms. One of the rooms contains a mini documentary with another room that gives a brief insight into the history of Caerphilly Castle. The grounds are beautiful and worth taking the time to walk around. Staff are friendly and welcoming, they are knowledgeable and will answer any questions you have on the castle or local area. At certain times they have medieval reenactments and these are fun, and give a good insight into the history of the time. Other events take place throughout the year so worth checking to see what is on. Caerphilly Castle is certainly worth visiting, huge, interesting and lovely views. Castell Coch is an embodiment of High Gothic, during Victorian ages there was a real interest in these times and the wonderfully talented and imaginative William Burges was given free licence by his client, John Patrick Crichton Stuart, to make for him and his family a country residence that was comparable in opulence to his main home, Cardiff Castle. There certainly was no constraint here, the house itself portrays immense wealth and the interior continues this tone, with sensational ceilings, glorious furnishings and furniture, it is a fairy tale castle. What is amazing is that the detailed architectural drawings are still in existence to this day. Following Burges death in 1881, his colleagues continued with his work on the inside of the house for a further ten years. The castle was not meant to be nor was it suitable for use as a permanent home, the family did not stay here often. Stepping through the doors here is like being transported back in time to a bygone era. There is an audio guide to take you around and give you the information on the castle, although not very big, if you take time to look at the intricate work and features of this house you can pass many an enjoyable hour here. The guide is informative, you will come away knowing all about the castle, having heard stories of the family and information on the building of the castle. There are stunning views from the Castell Coch and the rooms are truly amazing. The staff are friendly, helpful and knowledgeable and will answer any questions you may have. Outside the woodlands offer some walking trails and good picnic areas, a great place for the children to explore and run around. Castell Coach is small in size but huge in detail and grandeur, a truly unforgettable castle with lots of amazing details, it offers a lovely day out for everyone. St. Margaret's Chapel is the oldest surviving building in all of Edinburgh. This important Scottish landmark is a beautiful example of Romanesque architecture. It was constructed during the 12th century and was later restored during the 19th century. Today it serves as an important historic site for locals and visitors. Glastonbury's Somerset Rural Life Museum offers a fascinating look at life during the Victorian era. Located in the Abbey Farmhouse, the rooms have been reconstructed to produce the atmosphere of the period. The landmark also offers temporary exhibits as well as an ongoing events programme so there's always something new and exciting to see! History buffs and spiritual followers should make a point to see Glastonbury Tor. This beautiful area contains many sacred sites, with Glastonbury tor one of the most significant among them. Legends and myths surround this mysterious landmark. Some believe that it is home to Gwyn ap Nudd (Lord of the Underworld and King of the Fairies). See one of the most beloved holy wells in Britain! The Chalice Well is a beautiful landmark that's steeped in legend. Some believe that the well's water flows steadily, never changing temperature, as a representation of the blood of Christ. Visitors should not miss this opportunity to see the well and sip at its unique waters. Adventure, explore and dig on this archaeological excavation to discover the lost city of Trellech. A manor house and round tower have been uncovered and recognised as belonging to the lost city, once Wales' largest urban centre. This site has even featured on Time Team. See the majesty and beauty of the immense Raglan Castle! This fascinating historic site is home to one of Wale's most amazing landmarks. Bring a camera because you will want to capture the Great Tower, Grand Stair and Fountain Court on film. Much of the building is still intact, serving as a powerful reminder of times long passed. Llancaiach Fawr Manor has a long history that can be dated back to 1550 and is in a prime position with views over the Glamorgan Uplands. It is an excellent example of a semi-fortified Manor house and was occupied by the Prichard family. Once you step through the doors you are immediately transported back to another era, the house has been returned and furnished to what it would have been like in 1645, the furnishings within the rooms are exact replicas of items that would have been in the house during this period. Many pieces of the original furniture are on show at the Museum of Welsh Life. There are a number of interesting characters who you might meet as you wander through the house, it could be the master or one of the servants, all are dressed in traditional costume and talk in old English language! The house is operated as if it is occupied so you get a true feel of what it would have been like back then. The staff are friendly and knowledgeable and happy to answer any questions you might have, it is a fun and informative way to learn the history of the house and members. The house is considered to have a number of ghostly residents and they operate a Ghost Tour where, you might get to meet one of them. The house is open daily Tuesday to Sunday and is only closed over the Christmas period. The gardens are pretty and worth taking the time to see. The cafe and gift shop have lots to offer and are a nice place to stop at the end of your visit. With interactive, costumed guides Llancaiach Fawr is an unusual and interesting concept, it is fun for all ages and definitely worth visiting, you will not be disappointed. The Winding House is the museum for Caerphilly County Borough, and is located in an impressive and modern glass building that is in total contrast to the exhibits it houses. Stepping through the glass doors you are immersed in the history of the borough, you can explore the local history, culture and heritage through the ages, numerous collections including Edwardian and the Great War, hands on activities, delve into your family's past or see the imposing and immense Victorian winding engine, that operates at certain times. There is lots to keep the children occupied too with activities and the opportunity to dress up in historic costumes. It is an intimate museum and is well designed, the displays are excellent and there is lots of information available. In addition they run a number of events during the year so it is worth keeping an eye out for these. The museum is open daily throughout the year and there is no admission charge but do have donation boxes. There is a lovely coffee shop that is bright and airy where you can relax in the welcoming atmosphere and enjoy a tea or coffee accompanied by one of their delicious cakes. Also onsite is a gift shop that has a nice selection of quality gifts, goods, books and other items. The staff are terrific very friendly and helpful and happy to answer any questions. The Winding House is a gem of a museum, lots of interesting items and information that will appeal to all ages, making for a great day out, a must if you are in the area. Big Pit is one of Britain's best mining museums with educational exhibits. Experience the famous underground tour, meet a genuine miner and wear the real clothes. Big Pit will amuse and inform visitors of all ages, a great day out for all the family! Hopewell Colliery Museum offers you the opportunity to see genuine mine workings, some of which can be dated back as far as the 1820's. On display are a collection of old mine working tools. The guided tours are interesting and informative and give a true insight into what working life was like in these mines. The tours are taken by a professional guide Robin Morgan who has with over 60 years experience of these mines, you will find him to be knowledgeable, animated and passionate with lots of stories and antidotes, assuring a thoroughly memorable experience. Robin continues to extract small amounts of coal from these mines. You are given a hard hat complete with light to take the tour and this is the only light down the mines and you soon get a real feel of these mines as you step deeper into these damp, dark and small spaces. The museum is open from March through to October and there is a small entry charge but probably best to check in advance for tour times. It is best to wear suitable footwear and clothes as the grounds can be wet and slippery. Will require a certain level of mobility to do the tour owing to inclines and uneven surfaces. Hopewell Colliery Museum is a no frills and authentic look into mining and should not be missed if you are in the area, highly recommended. The Regimental Museum of the Royal Welsh depicts the rich and long history of the soldiers of Wales's infantry regiment, it is recognised as one of the prime regimental museums in Britain. Housed here is superb collection of military artefacts and memorabilia, that illustrate the story of a regiment that has been heavily involved in Britain's history in the last 300 years. A main attraction here is the Zulu War Room, relating to a well documented and intriguing war, the model in the centre of the room is the best part. Other exhibits include probably one of the best collections of soldiers weapons dating from the 18th century to present day, the medal Room has more than 3,000 medals all received for various heroic achievements, including the highly awarded Victoria Cross. There are hundreds of artefacts including pictures and paintings, buttons, badges, uniforms, ammunition all assisting in painting the picture of life as a soldier during dangerous and life changing times, all displays have informative fact cards. There are items of interest for everyone and the staff are friendly and informative if you require any questions answering. The museum is open throughout the year Monday to Friday and on a Saturday from March to September. The exhibits are all well laid out and make them easy to see. The Regimental Museum of the Royal Welsh is interesting and informative and gives a real insight into these brave soldiers lives. White Castle is actually part of a group of three castles but is the best maintained out of them, the others include Skenfrith and Grosmont. The centre of this castle is enclosed by strong round towers and has a good dry moat. Generally the three castles are referred to together, as at one stage they were all under control of a single lord, Hubert de Burgh. Although the other castles were constructed to serve as residences this is not the case for White Castle, it appears to have been purely for military work. Inside the castle there was a chapel, hall and kitchen but was in no way sumptuous. White Castle is located in a remote setting and offers a peaceful and tranquil atmosphere, it is not the easiest place to find though. Entrance is over a bridge and there are fabulous views of the surrounding countryside from the towers and gatehouse, please be aware access is by steps so might not be suitable for everyone. Also please note the castle is not open Monday or Tuesday. There is plenty of information available illustrating the castle's history and available to buy is a booklet on all of the three castles. The staff are friendly and knowledgeable and the introductory talk that the custodian gives is very informative, admission is nominal and only payable in the summer. There are plenty of picnic benches within and outside the castle walls and loads of room for smaller visitors to run around.